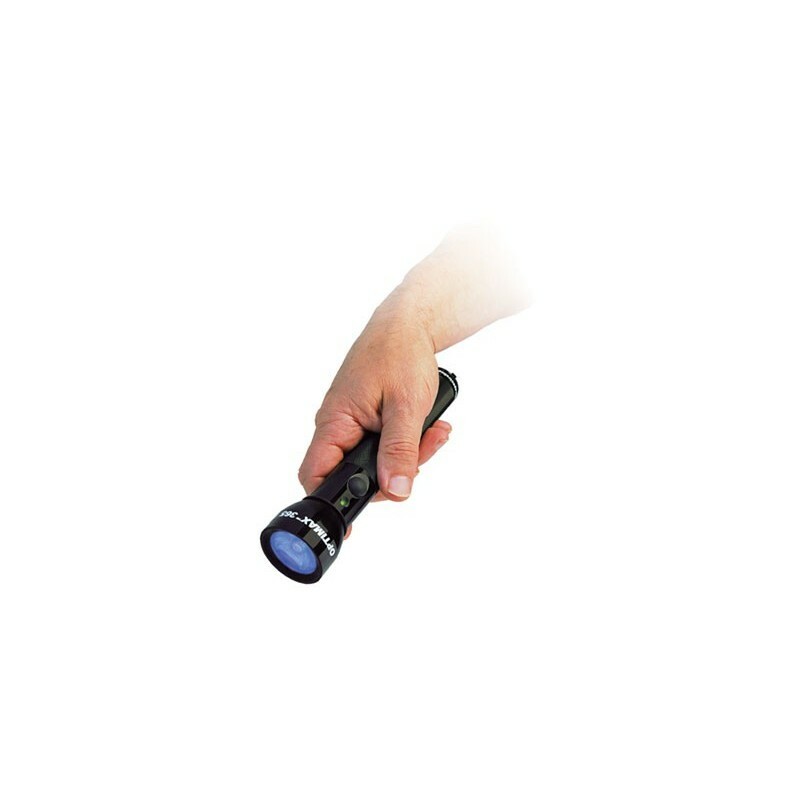 The UV-A LED INSPECTION FLASHLIGHT is a powerful, rechargeable, high-intensity flashlight featuring state-of-the-art, ultra-hi-flux LED technology! - Electronic Intensity Stabilizer assures consistent performance. Beam strength will not weaken between charges! - Instant-on operation. Lamp reaches full intensity immediately! Ergonomic, portable and rugged. Anodized aluminum lamp body minimizes corrosion and stands up to years of heavy use. 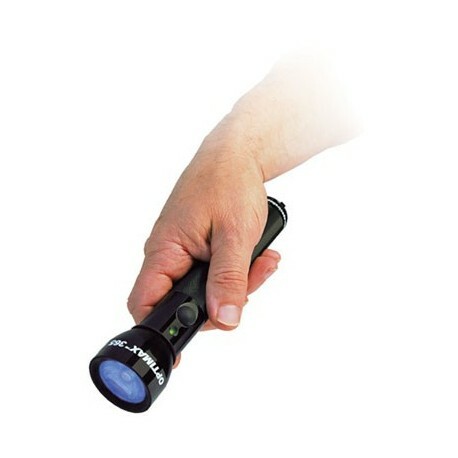 - Powered by a rechargeable NiMH battery. Provides 90 minutes of continuous inspection between charges. Comes complete with smart AC and DC chargers, UV-absorbing spectacles, belt holster, and padded carrying case. AC charger available in 120V, 230V, 240V and 100V versions.